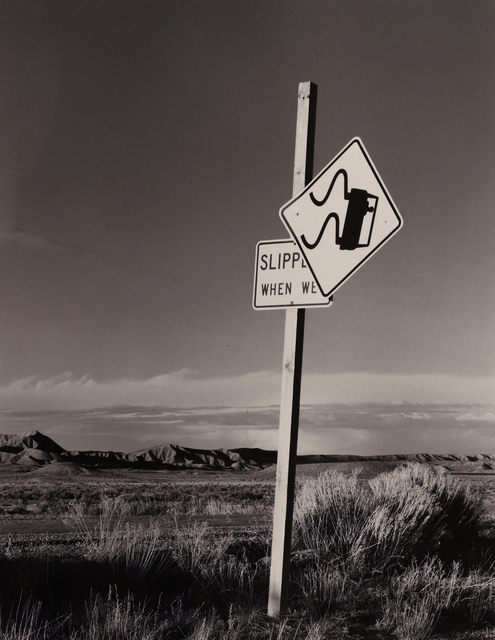 In the 1970s and '80s, Bob Kolbrener made a photographic survey of roadsigns in the American West. This early body of innovative work is on display for the first time in 25 years. After nearly 40 years, the Roadsigns are being appropriately placed within the context of their era. The foreign settlement of the American West has, over the last two-and-a-half centuries, advanced exponentially. The plentiful resources of the Pacific Coast—sea otter furs, hardwood lumber, minerals, and much else—are responsible for the rise of post-colonial civilization in this region. While the continent’s edge became an epicenter of industry, the inland states—Nevada, Arizona, and Utah—were largely left untouched, bearing little to be desired by settlers. This formidable expanse was sparsely populated until after WWII, when the affordability of air-conditioning allowed Americans to sprawl out into the vast, desiccated regions of the West. 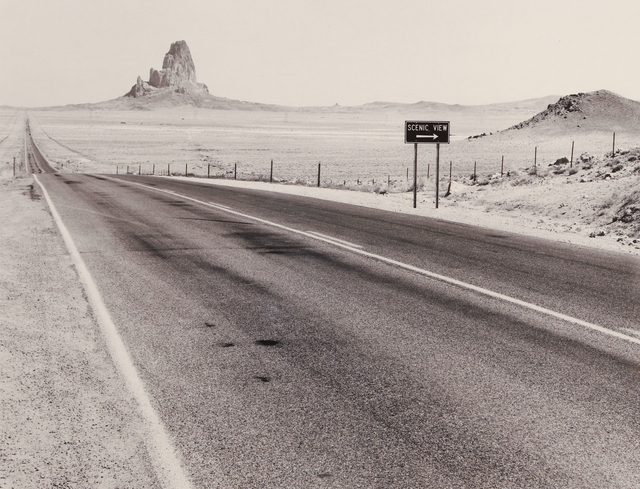 This peculiar transformation of the desert states has provided a fertile narrative for many authors and artists to explore. 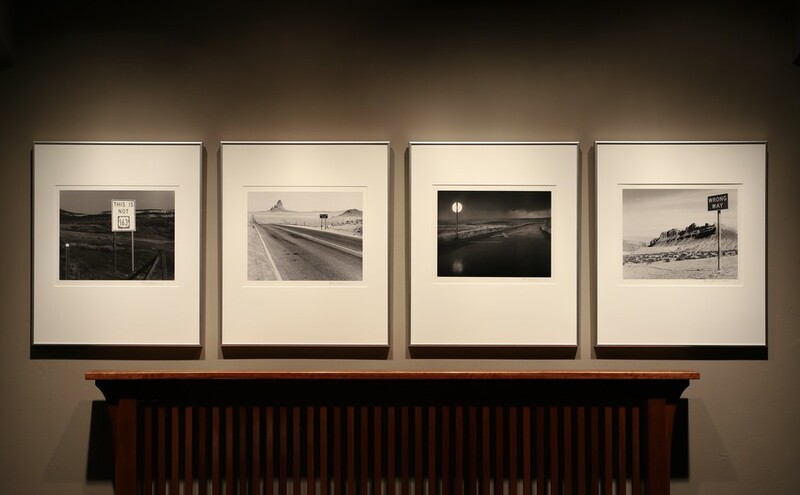 The West’s reduction to a facet of modernity—replete with suburbs, highways, and tourism—was thoroughly lamented in the 1960s and ‘70s by writers such as Edward Abbey and Wallace Stegner, and subsequently by a school of photographers represented by Robert Adams and Lewis Baltz. These New Topographics photographers carried forth the modern environmental movement within the visual arts, documenting the urbanization and exploitation of previously pristine regions. 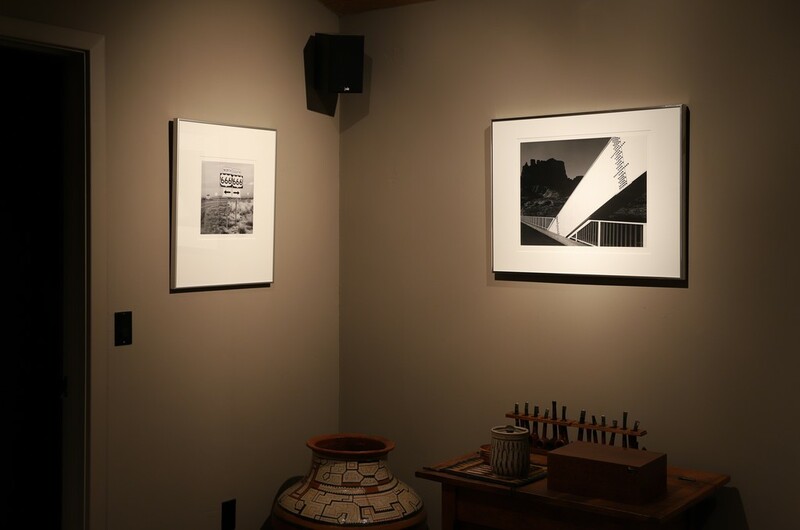 Prior to this movement, environmental photography operated on the premise that citizens are more likely to protect that which they perceive as beautiful. As a consequence, the unpalatable parts of the landscape—i.e., its human components—were generally excluded from the images, and repressed from our collective vision of the landscape. New Topographics photographers sought to reduce the parallax between our idealized vision of the wilderness and its reality. 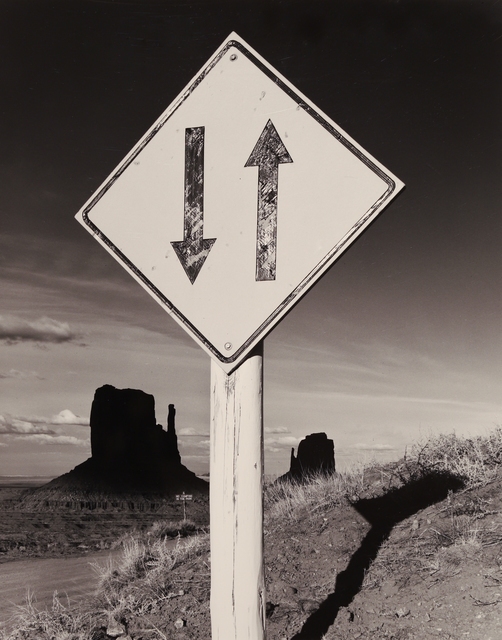 In the same era, Bob Kolbrener made a photographic survey of roadsigns in the American West that emphasized the absurdity of bureaucratic efforts to domesticate this desolate region. 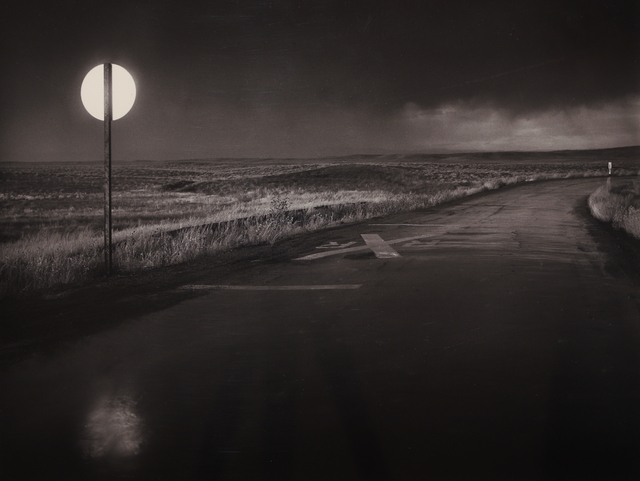 While Kolbrener is renowned for his later landscapes, made in the romantic tradition of Ansel Adams, this early body of innovative work has been kept—both literally and figuratively—in the dark. 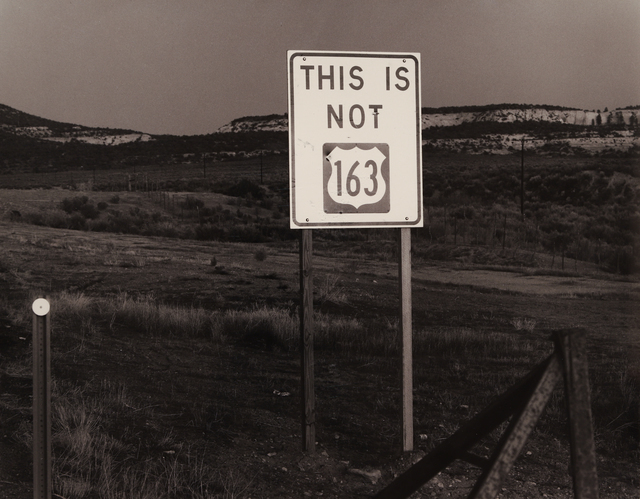 Now that 40 years has passed since Kolbrener’s first significant Roadsign, “This is Not 163, 1978”, it is appropriate to reformulate this body of Kolbrener’s work within the context of its era, rather than the whole of the artist’s canon. 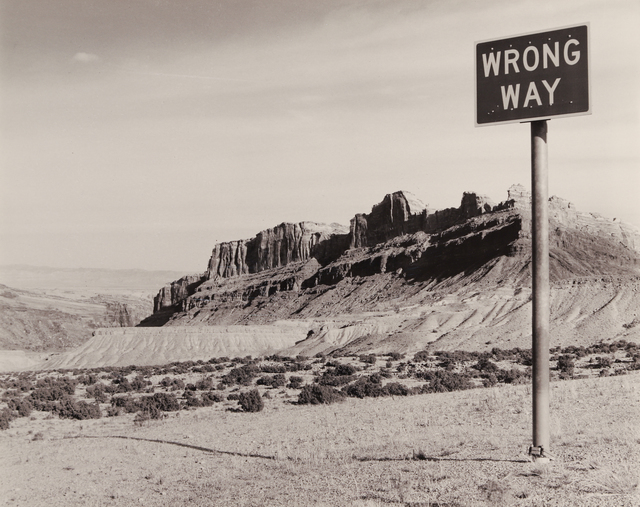 The most prominent quality of Kolbrener’s Roadsigns—one that distinguishes them from much of his contemporaries’ work, is humor. 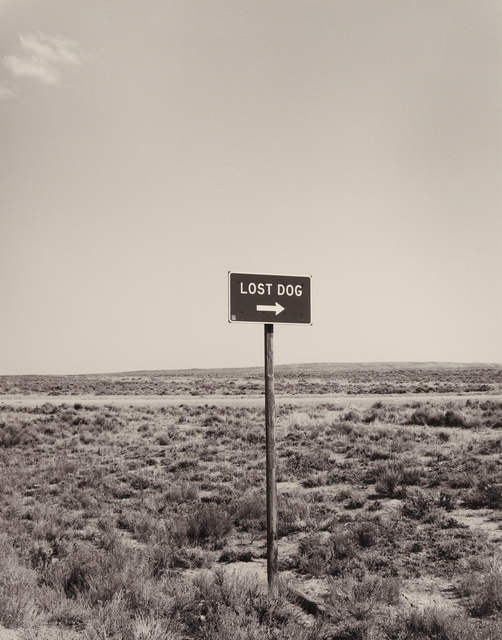 Humor in art, revived in the 1960s by Ed Ruscha and Bruce Nauman, was largely a byproduct of their investigations into language. These artists were concerned with the capacity of language to bear multiple, contradictory meanings simultaneously—a foundational element of comedy. 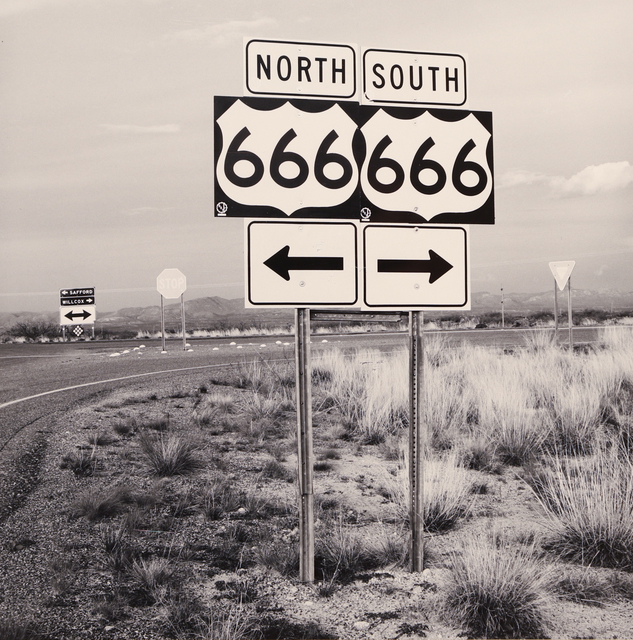 Kolbrener’s Roadsigns operate along the same ideological infrastructure: when viewed in isolation, roadsigns are instructive and denotative; when viewed in situ, within their respective landscapes, their meanings become ambiguous. The irony of these juxtapositions is then formalized by the act of composition, and furthermore by means of presentation. 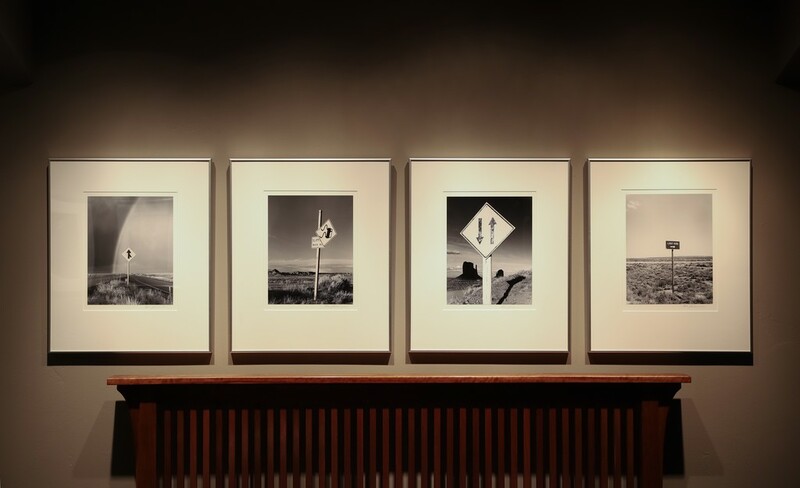 The tension between informality and formality, as well as the ambiguity that arises as a consequence, is the basis of the Roadsigns’ artistic significance. Within the West’s lineage of interpreters, Kolbrener is unique for demonstrating that the tragedy of this region does not necessitate remorse, but may warrant a comedic outlook. In the decades since these observations on the Fall of the West, indifference has become the primary means of reconciling ourselves with its ruin. It is easier to accept the present condition of the West when the virtues of its past have been forgotten. By finding humor in this conflict between humanity and Nature, we are better able to address and overcome the fatality of this condition. 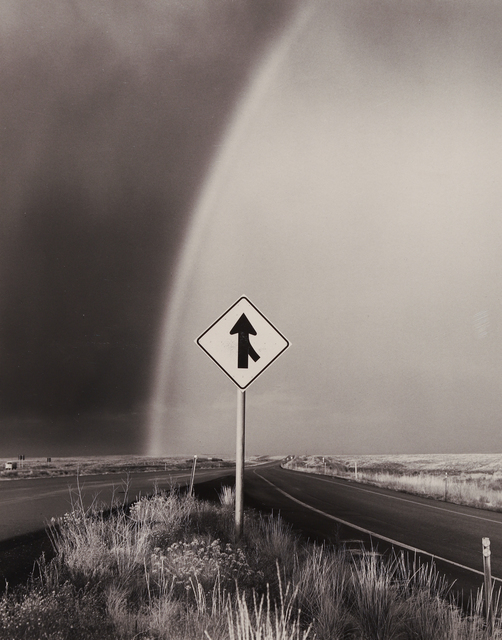 The natural landscapes which encompass the roadsigns in Kolbrener’s images engender us with hope—that the evidences of human effort will, eventually, be buried by the dusts of time.